Time Of My Life was, of course, from the soundtrack for the 80's movie Dirty Dancing. The 1987 romance film is credited as being one of the most watched films of all time, particularly among females. The video clip features a live 80's performance by Bill Medley (One half of The Righteous Brothers) and American singer/songwriter Jennifer Warnes on BBC music show Top Of The Pops. The song topped the charts in the U.S. during November 1987 for one week. In the UK, the track peaked at #6 and charted again in January 1991, this time reaching #8 after Dirty Dancing was shown on mainstream TV. 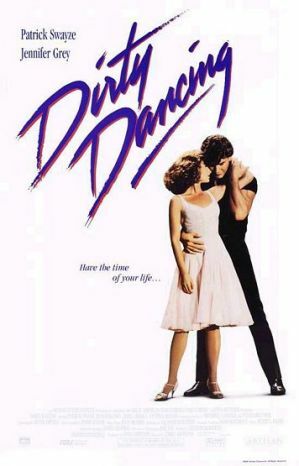 Written by Eleanor Bergstein, the film features Patrick Swayze, Jennifer Grey, Cynthia Rhodes, and Jerry Orbach. The story details the moment of time that a teenaged girl crosses over into womanhood both physically and emotionally, through a relationship with a dance instructor during a family summer vacation.